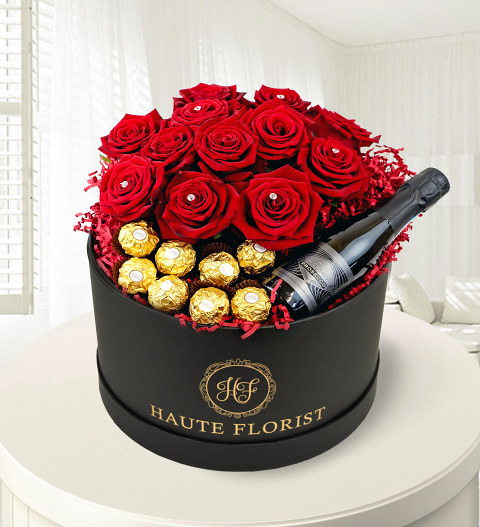 This stylish hat box is filled with 12 perfect Naomi Red Roses, eight delicious Ferrero Rocher chocolates and a 187ml bottle of Prosecco. I gesture sure to make a lasting impression! Perfect for Valentine's Day or any other special occasion. The luxurious appeal of this arrangement makes it a winner every time!